WEST DEPTFORD, NJ – ICS Corporation, a leader in print and mail marketing distribution for clients nationwide, has completed a rigorous audit of its data security processes and systems. To earn compliance under the demanding System and Organization Controls 2 (SOC 2) standards. This examination was performed by 360 Advanced, a respected national Qualified Security Assessor and Certified Public Accounting firm based in Tampa, FL. The objective of a SOC 2 Type 2 examination is the expression of an opinion about whether the control principles have been effectively designed to meet accepted practices. The engagement is conducted in a manner that establishes the design of the system of controls as of a point in time, and to assist the service organization in improving the capabilities of its core processes. Services provided by 360 Advanced include HITRUST CSF, GDPR, SOC 1, SOC 2, SOC 3, PCI DSS, HIPAA Security/HITECH, Microsoft SSPA, and other security and compliance services for a variety of industries and business verticals nationwide. The PhillyDMA Direct Marketer of the Year recipient represents the embodiment of true excellence in marketing in our region and in our industry. In the past, outstanding individuals have been awarded this special designation as an acknowledgment of their achievements. This year, the PhillyDMA chose to honor not just a single individual, but an entire company who has demonstrated industry leadership and that direct marketing is still a thriving and vital part of our business community. In 1965, Richard Bastian & Richard Prendergast founded Instant Copy Service, a small print and copy facility in Philadelphia PA. 50 years later and enough stories to write a direct mail horror book, ICS has grown into a company that elevates and supports some of today’s largest mailers. ICS’ unique way of working combines fun and innovation while maintaining a responsible, supportive, and a transparent rapport with our clients. Servicing clients that are at the forefront of the financial, insurance, fintech, non-profit and healthcare industries, ICS mailed roughly 650,000,000 mail pieces in 2017 for 45 national clients with capacity to do over a billion. 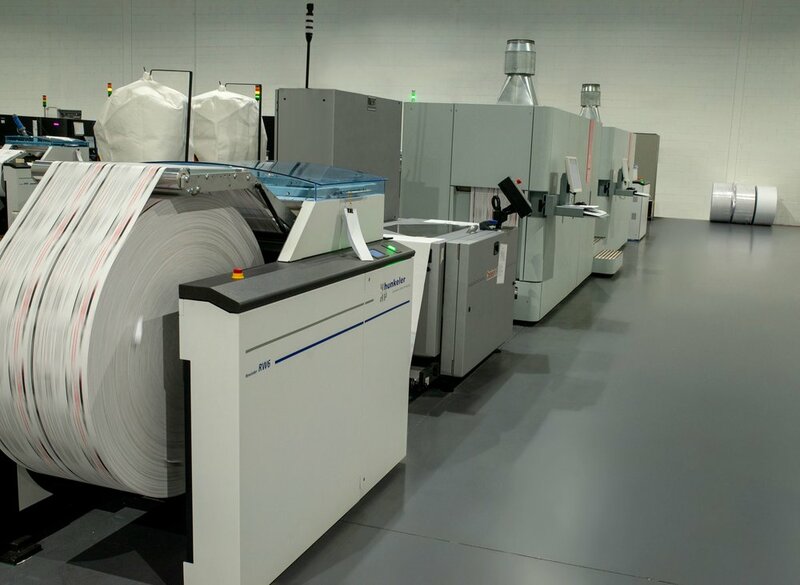 Our new state of the art facility houses digital imaging, bindery, lettershop and commingle/dropship postal logistics. We are thrilled, humbled and proud to be recognized as the PDMA marketer of the year.